San Francisco, CA, WPH Press, 9/16/18- The Olympic Club hosted the 2018 National Interclub Exchange on the third weekend of September, matching the Olympic Club, Portland’s Multnomah Athletic Club and the Los Angeles Athletic Club. The National Interclub Exchange featured several of the best players in the world, to include the 15-time Olympic Club singles champion and R48 #7 Emmett Peixoto, the LAAC’s R48 #8 Vic Perez, and the MAC’s former Elite 8 star Aaron Garner. 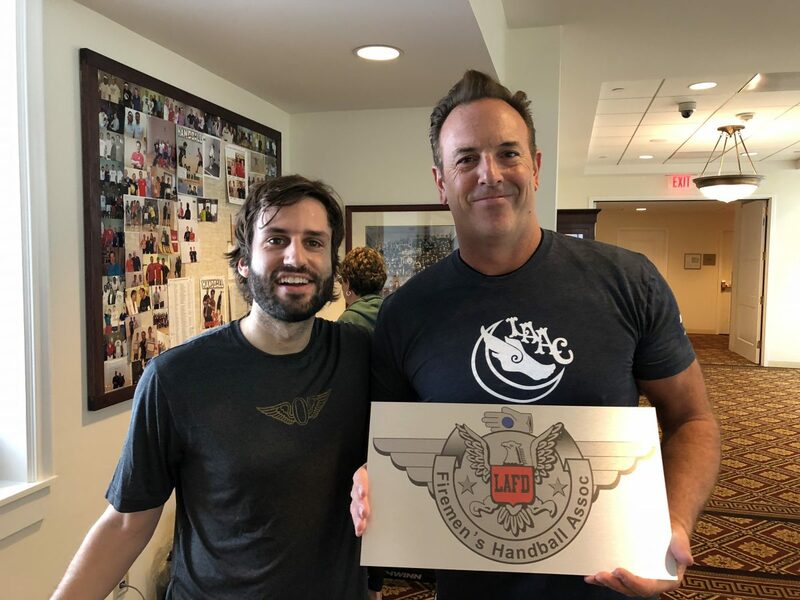 The event also featured several of the game’s top master’s players, as former top 12 pros Chris Tico (Olympic Club) and John Libby (LAAC) joined the current R48 Elite in the one-day team showdown. The LAAC clinched the opening match with the Olympic Club, as Perez ousted Peixoto on The Rock’s home court. The first game was close throughout, with neither player leading by more than four points during the 65-minute first game. “I really thought I had the first game won but I just didn’t convert a couple of setups late in the game and that was the difference,” stated Peixoto. Perez seized the momentum on the heels of taking the first game, building a 14-6 lead in game two by dictating rallies and finding the left corner when given offensive opportunities with his patented right-hand cross-court kill. Peixoto rallied, tying the score at 15 by extending rallies and hitting a number of one-inch high back wall kills. 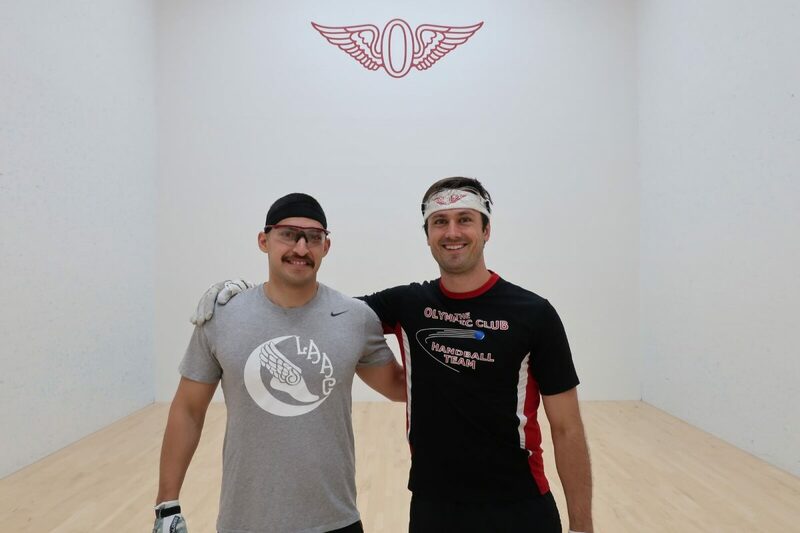 Perez regained control, scoring the final six points of the match to eliminate Team Olympic Club from the Interclub Exchange. Perez faced former R48 staple Aaron Garner in the Interclub final, pitting the LAAC against the MAC. In a battle of two stars with very similar styles, Perez edged “Double A Ron” in two close games to give LAAC the Interclub title. The LAAC also holds the WPH Manning Cup title, making the LAAC the undisputed top handball club in the country. “We are hoping to get the NYAC back into a four-way (interclub) tournament in 2019 and play it a couple of weeks after the WPH R48 Player’s Championship in the spring,” stated National Interclub Exchange and R48 Olympic Club tournament director Lou Barberini. Photos courtesy of Lou Barberini and the Olympic club. Thank you to Lou Barberini for the updates from the 2018 National Interclub Exchange.